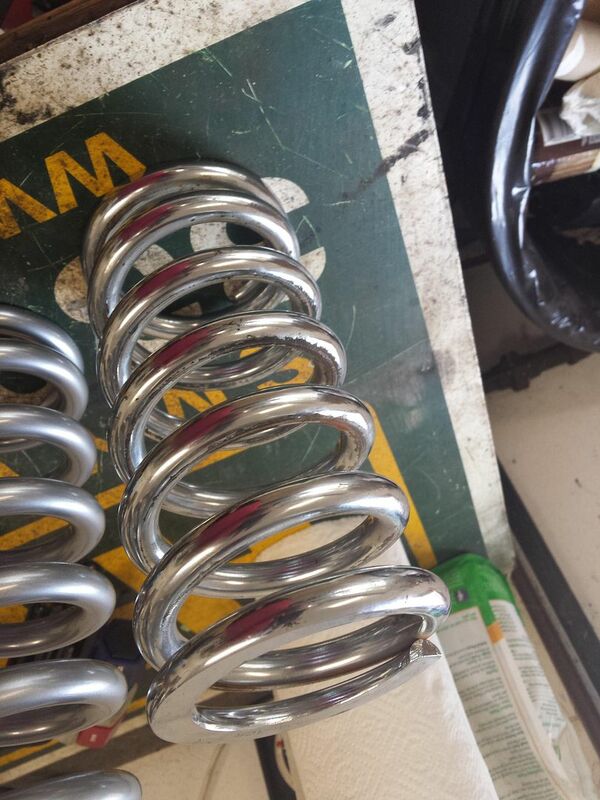 Sent Spohn the pic and they said that they see that whenever someone runs too light of a spring or short of a shock causing spring bind or shock to bottom out. Therefore they will not cover the replacement. . So ill tear it apart tonight after I weigh the front end with scales Ill borrow from work. 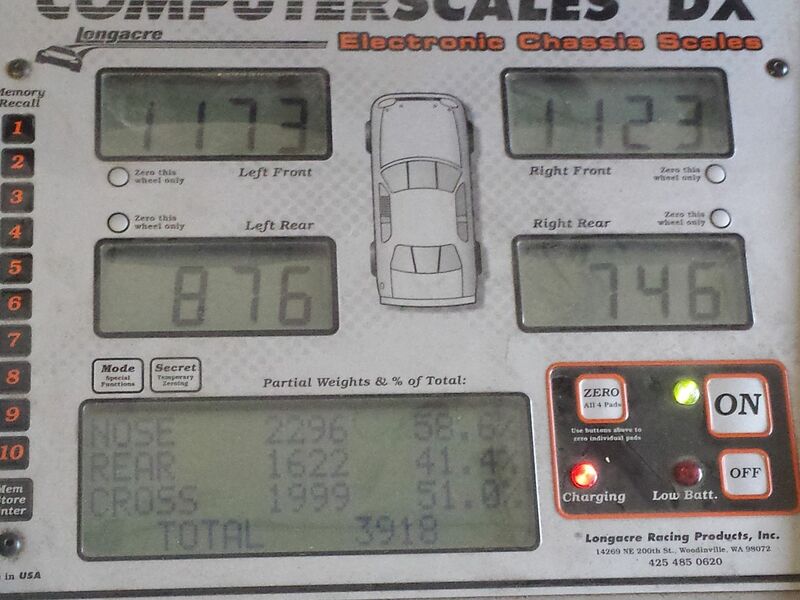 Ill see what the actual front end weight is and see if my springs really are too soft. 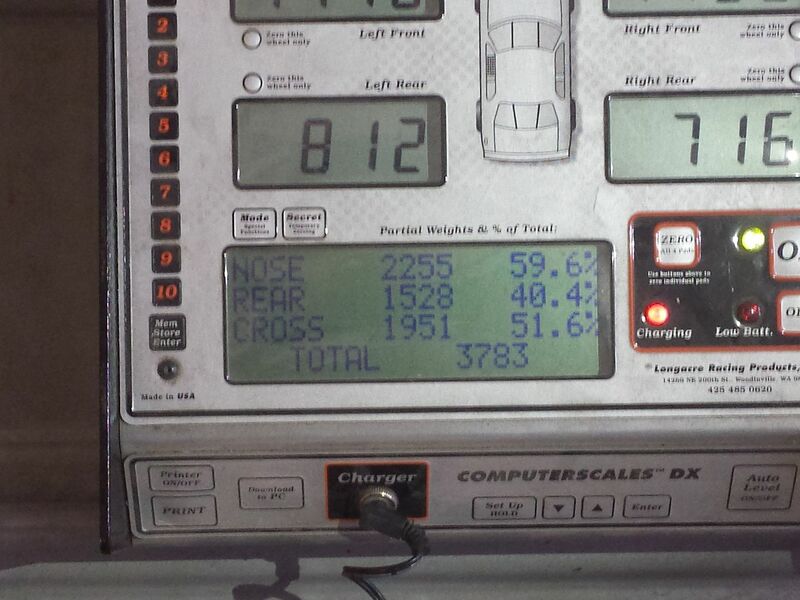 Ill have S106banger weld and sleeve the LCA at the performance shop he works for. Might be back on all fours by the weekend! 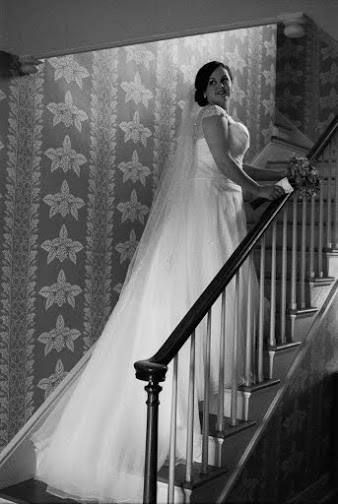 Also heres a few shots from my wedding. Got a pic of the Mayhem! Are you not running bump stops to limit travel BEFORE the shocks bottom? 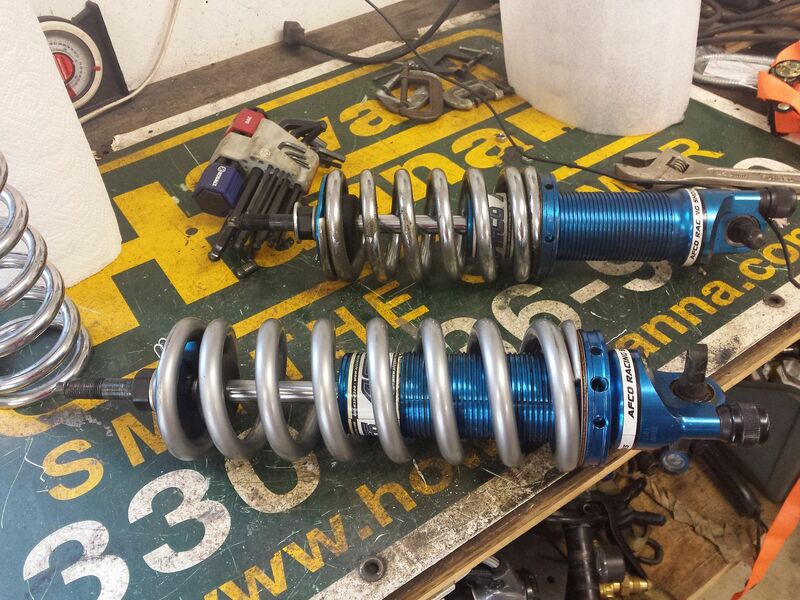 You should never be bottoming on your shocks or experiencing spring bind if you have limited things properly. Unless you hit a hard stop (i.e. shocks bottoming), those A-arms should have never failed in use. Congrats on the marriage BTW! Hope she makes a good mom for the Sonoma. Last edited by -TheBandit-; 10-16-2014 at 12:12 PM. 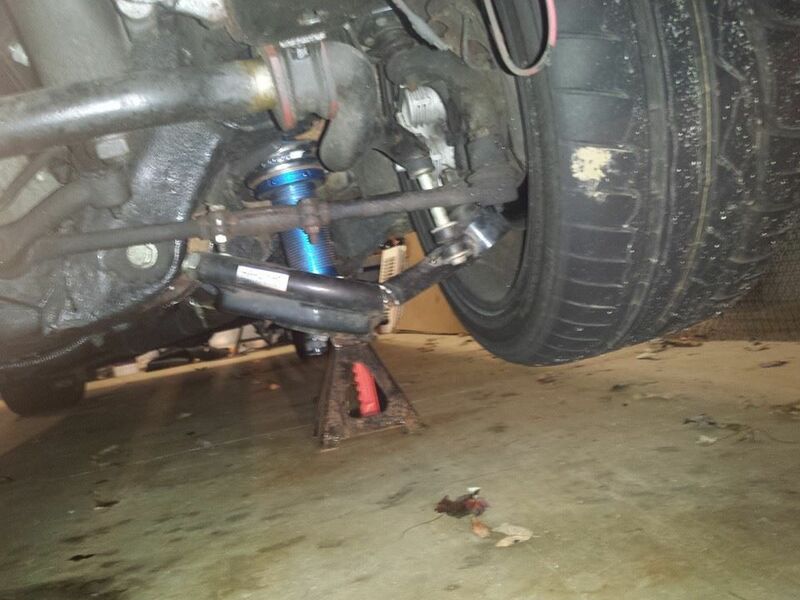 Nope theres no place to but bump stops on my LCA unless theres clamp on ones or something? 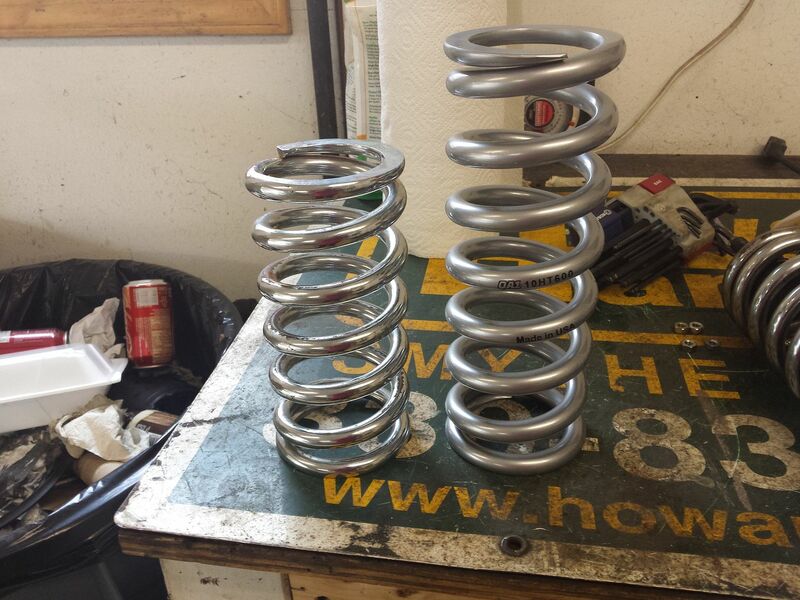 Old 8" 500# spring vs new 600# 10" spring. Took measurements of show location on the lca and plugged it into a coilover spring calculator and it came back with 570-750# depending on the site I went to. 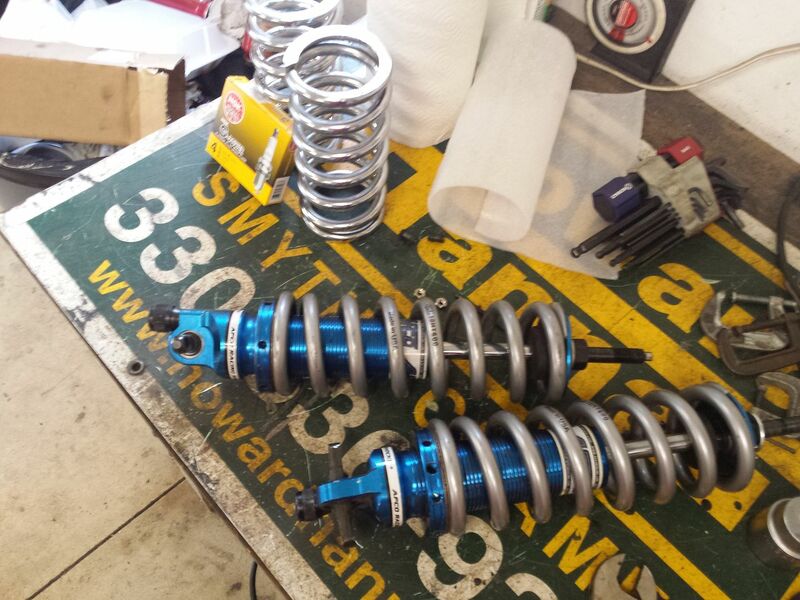 Plus the longer the spring the lower the rate I needed so thats why I went with a longer spring. Finally made it to the track to on nitrous. Its a different track than what I ussually run on but it was prepped really well and I was able to make 8 passes since it was a track rental. Best pass was [email protected] with a 150 shot. I was only able to get into the 11s once the rest were 12 flats. I had no problem hooking up on a 100 shot at 3000 rpm but the 150 I had to bump it up to 3600 rpms and even then it spun on one run once it kicked in. Looks like most of the tracks around here a closed for the season. I was hoping to get out again now that the nitrous is working. Never planned on getting the 150 shot running mostly just 100 with maybe a 125 but I thought screw that and quickly looked up the jets for a 150 shot on nx express page off my phone and dug through my baggie of jets. Messed with timing and slowly bumped it up to 21* and it felt happy there. Now that I had time to research and look more at my logs I was running pretty rich on the runs with a 10.8-11.1 afrs. 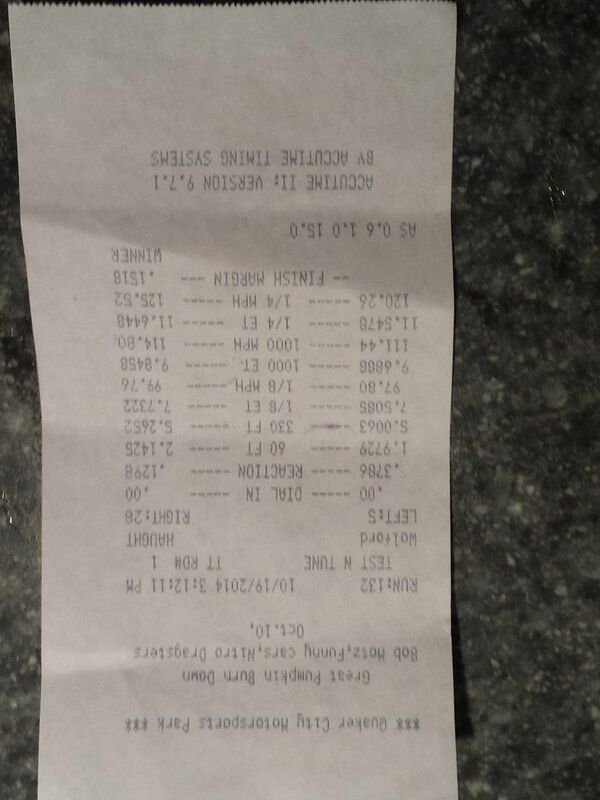 NX suggested a 62N and 36 Fuel jets for a 150 shot while robie the robot website which I used back when I ran nitrous a lot on the 4.3 says to run a 62n 32f for the 150 shot which according to that calculator is 147rwhp and 179ish at the crank which lines up with nx kits rating their jets at the wheel. So Ill lean it out closer to 12 afr and mess with the timing and see what else I can get out of it. 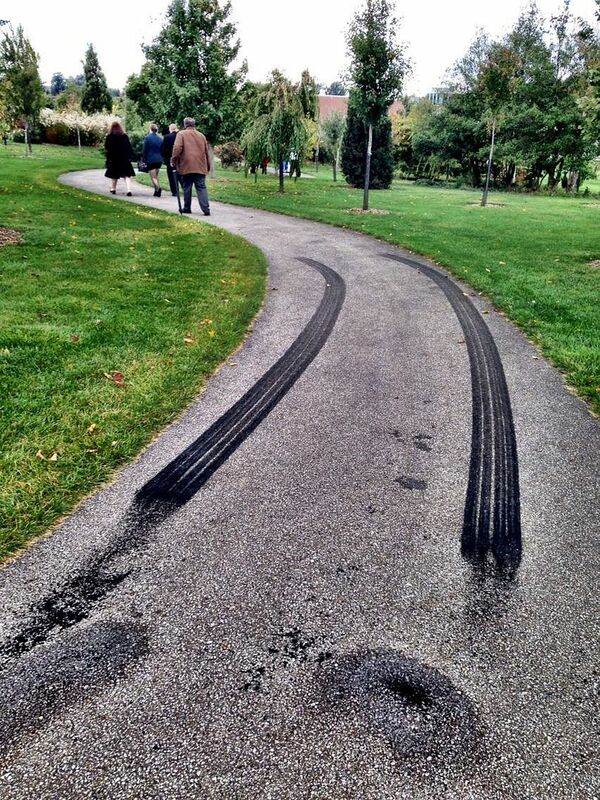 Last edited by tiresmokinV8; 10-20-2014 at 05:10 PM. So what is your opinion on the TSP VVT2 cam now? I like the cam it definately pulls hard midrange and up but without having any other cam to compare it with I cant really judge it. I have no complaints other than struggling to get 14mpg out of it even on the highway. I do plan on keeping it with my future turbo plans. Damn, that was a great run. Haulin' ACE! Thanks. Check out my next phase of the build! I didn't see in your thread anywhere where you checked PTV clearance. Did you check it and if you did did you check with the phaser at full retard and advance? I have also have an '08 ly6 (9500 mi) that someday I'll get to swap into a Regal someday when it transforms back from a pile of parts. I already have a cam EPS 226/234 113+2 not installed yet. I'm hoping to be able to bump compression up a 1. by milling and/or with gaskets. If i can achieve it without flycutting. Love this build! The stock LY6 comp ratio is perfect for boost. Been following it for a while. My LY6 build with the Texas Speed VVT cam had piston to valve clearance issues which required fly cutting. I developed a pat pending tool to unlock the phaser to check clearances with the phaser fully retarded. I was than able to verify the ptv clearance and flycut according. 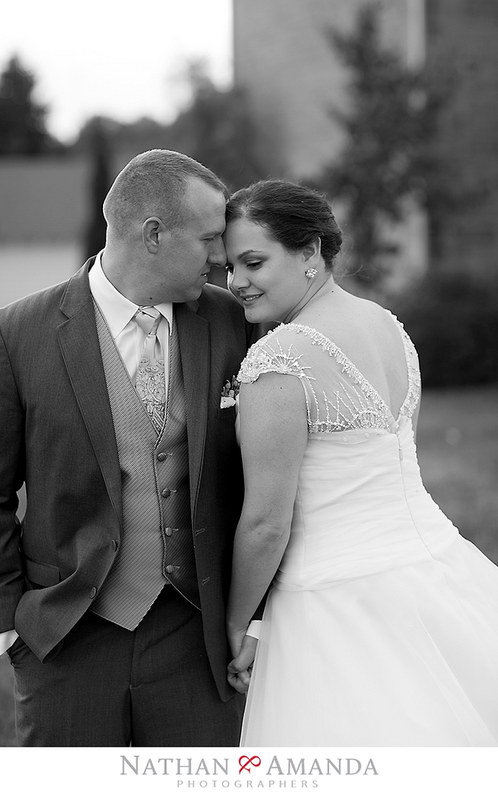 Last edited by LongIsland63SS409; 02-28-2015 at 07:47 PM. Hmm I checked mine with the VVT-2 and had plenty of clearance. 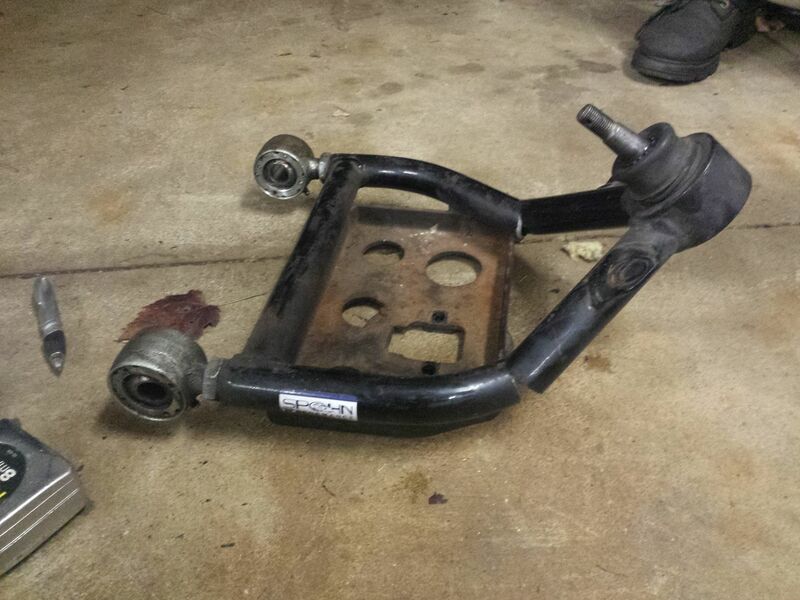 Did you use a gutted cam phaser to simulate full cam retard to check the exhaust clearance? Yea I picked up a 2nd in case I messed one up taking it apart for the comp limiter. Gutted one. 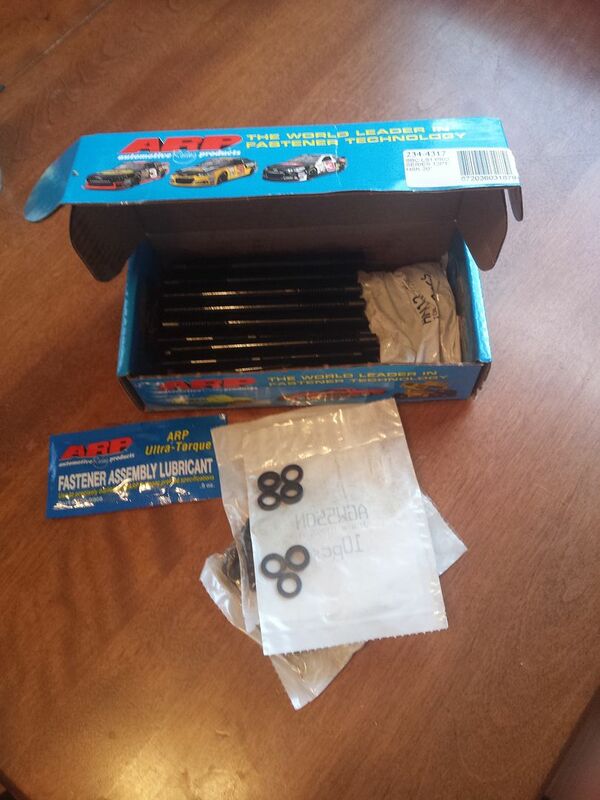 Found ARP headstuds new for 276 shipped to my door off ebay.